Chef Adrienne’s two decades of professional experience encompass roles in some of the nation’s finest country clubs, restaurants, inns, hotels, and gourmet markets, including Rocky Fork Hunt & County Club, Winegarder & Hammons Hotel Group and Cameron Mitchell Restaurants. 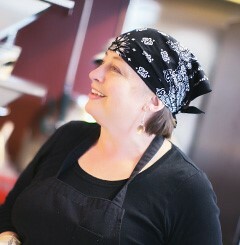 In 2011, she created Eban’s Bakehouse, a dedicated certified gluten free bakery, with Chef Eric Michael Braddock. Adrienne believes food should nourish the body, delight the palette, and inspire the mind and spirit. Through Eban’s Bakehouse, Adrienne and Eric have embraced a mission to enable people with wheat and gluten allergies, or a desire to live gluten-free, to enjoy quality breads and baked goods. Their multimillion dollar company now supplies hundreds of grocery stores, hospitals, schools and universities, restaurants and health food shops in 16 states. They also presently employ 8 employees including culinary graduates and Nepalese refugees. A Newark native, Chef Titus has carved some of the most detailed and visually appealing culinary centerpieces seen in the central Ohio area. 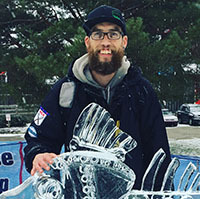 Titus started his culinary career as a Sous Chef at Granville Inn and is currently at Elements Local Bistro and Rock on Ice. He is a Certified Professional Art Carver; 3-time Ohio State Fair Food Art Champion; and 2016 US National Championship Winner. Titus' food was also featured on the Food Network. Majoring in biology and psychology, Chef Avishar intended to pursue a career in health care. He said his score was good enough for him to consider applying to med school, but he completely switched gears to pursue a career in the culinary arts. He started his career at 1808 American Bistro and Veritas, in Delaware, Ohio and then made a journey to New York’s Mission Chinese and WD-50. 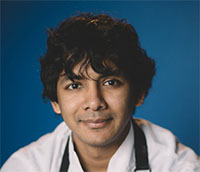 Now back in Columbus at Service Bar, Chef Avishar’s creations blend his Midwestern upbringing and Bangladeshi roots. Service Bar was named on e of the best new restaurants of 2017 by Columbus Monthly and Top 10 New Restaurants by Columbus Underground. Enjoying experimentation, he regularly cooks up new and innovative items for his diners to enjoy.